. . . so I made a collage of some of his photos with Shape Collage. 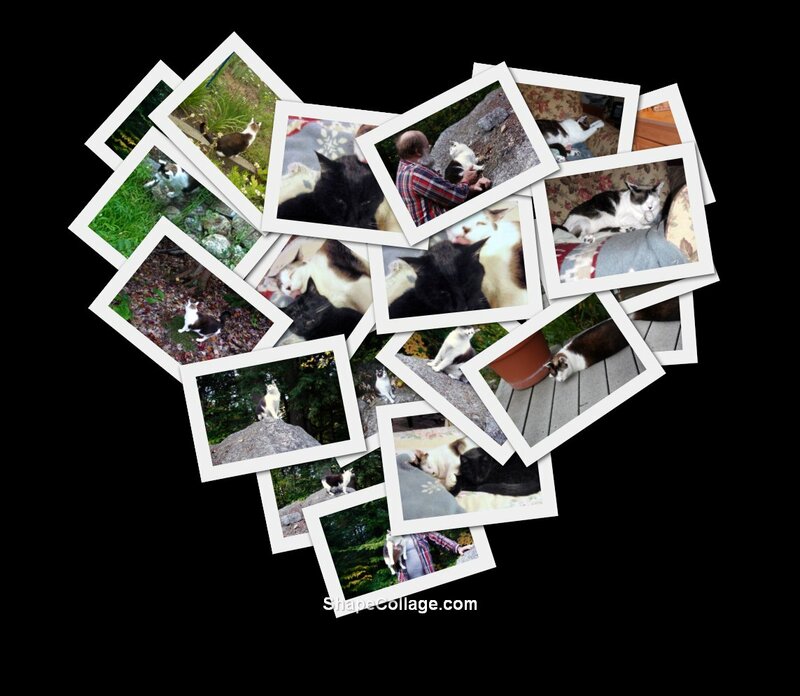 This heart shaped collage has a transparent background, which unfortunately shows black here. Shape Collage is free, very fast, makes collages in any shape you want, and there are online and Facebook versions. Get it. Now. Hi meeyauw. Thanks for your recent visit. I saw some of your exchanges with the admin on CDPB and thought it was unkind on their part to treat you so shabbily. I like your collage. I'm sure you know you can make collages with Picasa too, and which is free also. I'm thinking of writing a book about a short relationship with a cat. (kitten). Thanks for the tip, that's a nice tool !